An international debate will be organized with no more than 100 participants to discuss the art of CI-fitting. The current state of the art will be critically reviewed with a focus on improving measurable performance. Experts from the four CI-companies will revisit the functions between the electrical events and the MAP-parameters that can be adjusted by the programmer. Clinical experts will give an inventory of which MAP-parameters they use to modify, which outcome they use to measure, which procedures they typically follow. All participants will be asked to go through some of their own cases and data in anticipation of the debate and to actively participate to the debate. The final aim will be to make a first step towards some consensus on Good Clinical Practice and to set out goals for further research and investigation. Issues like automated or self testing and fitting, device-specific features will also be addressed. The debate also aims at determining controversies and uncertainties related to both technical and clinical elements. An international debate will be organized with 100 participants from Europe, USA, Canada and Australia to discuss the art of CI-fitting. The current state of the art will be critically reviewed with a focus on improving measurable performance. Experts from the four CI-companies will revisit the functions between the electrical events and the MAP-parameters that can be adjusted by the programmer. Clinical experts will give an inventory of which MAP-parameters they use to modify, which outcome they use to measure, which procedures they typically follow. 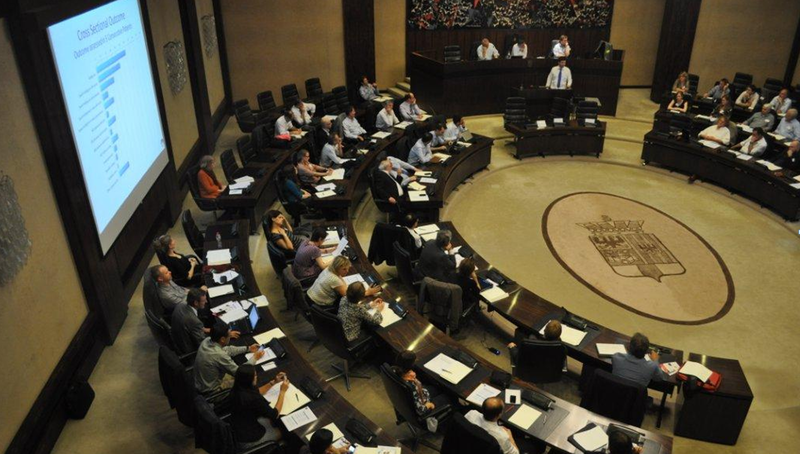 The debate will be held in Antwerp, Belgium, in the Provincial Council Room, which has all facilities for a good debate, with individual microphones, voting system, projection, etc. Hotel Ramada Plaza Antwerp offers rooms at a discounted price of € 109,- per night. Participants are kindly requested to make their own booking. Please use the code “COCHLEAR IMPLANT” to claim the discount. Check-in is from 14.00h; check-out is before 12.00h. Parking is possible on site and costs EUR 12.50 per day. The hotel is at 10 min walking distance from the debate venue, but transfer by auto car is organized, as rainy days are not unusual in Belgium during autumn. On Monday morning you will be pickedup at 8.00h and we welcome you with coffee at the venue. The dinner will take place in the unique mediaeval setting of the canon Van Gesselzaal of the Elzenveld conference centre. Elzenveld is located in the old city centre. Autocar transport will be arranged from the hotel to the dinner in Elzenveld and back to the hotel. We keep the dress code business-casual. Antwerp Airport: small-character airport with regular flights to and from London with CityJet. We advise you to take from there a taxi to the hotel or the debate venue. This will cost € 10-€ 12. Brussels Airport Zaventem: National Belgian airport for all regular flights. You can find the Airport Express bus to Antwerp on level 0, one floor down from the arrivals hall. The transfer costs € 10; every hour at -.00h; 30 min drive to your stop (on request) at Crown Plaza hotel, which is 5 min walking to your hotel, or 10 min to the debate venue. Please note that the debate venue Provinciehuis does not offer parking !! Coming from Brussels/ Brussels Airport (E19), leaving the Craeybeckx Tunnel, take the left track indicated as “Centrum”. To the hotel: turn left at the second traffic light (“Singel- Zuid/Hoboken”). Ramada Plaza is on your right passing the next traffic light, opposite the Olympic swimming pool, behind the Building Vivium. To the debate venue: at the second traffic lights follow direction “Antwerpen centum” and stay on the N155, General Lemanstraat. At the end of this street, turn right and find a parking spot on the Koning Albert parkweg or the Prins Albertlei. The Provinciehuis is at your left. Coming from the Netherlands or Germany (E19, E313-E34), follow the ring road towards Ghent/Brussel. To the hotel: take exit 5 “Brussel/ Boom/Wilrijk”. Follow the right lane and turn right at the traffic lights into the Le Grellelaan. At the second traffic light turn left into the Desguinlei. Ramada Plaza is 50m further down on the right hand side. To the debate venue: take exit 4 “Berchem/Mortsel”, turn right, follow direction “Antwerpen Centrum” and take Grotesteenweg. Continue to Mechelsesteenweg. At the next traffic lights turn sharp left into the Koningin Elisabethlei. The Provinciehuis is at your right. Coming from France and Gent (E17), leaving the Kennedy Tunnel, take the second exit, exit 5 “Berchem/Wilrijk”. To the hotel: turn left and left again at the next traffic light into the Desguinlei. Ramada Plaza is immediately at your right behind the Building Vivium. To the debate venue: turn left and at the traffic lights cross the Desguinlei and drive straight into the Karel Oomsstraat. At the next traffic lights drive straight onto a small parking in this street. Park your car and walk further towards the end of the street. The Provinciehuis is located just past the crossing with the Jan Van Rijswijcklaan at the left side. To the hotel: at the underground metro station “Diamant” take Tram 2, direction “Hoboken” or Tram 6, direction “Olympiade”. After about 10 min., leave the tram at the Jan Van Rijswijcklaan, stop “the Singel”. Cross the road and you will find the hotel behind a glass-building called “Vivium”. To the debate venue: at the underground premetrostation “Diamant” take Tram 2, direction “Hoboken” or tram 6, direction “Olympiade”. Leave the tram after about 8 min. at the stop “Provinciehuis”. The building is in front of the stop. World’s first remote fitting with Audiqueen and FOX!